From the Star Trek: Discovery TV series comes this U.S.S. Shenzhou NCC-1227 Vehicle with Collector Magazine #1. The U.S.S. 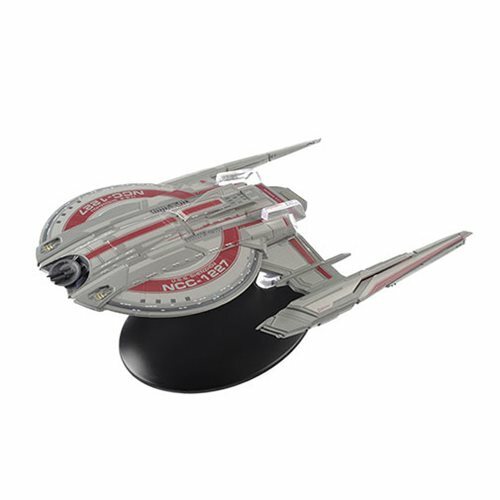 Shenzhou NCC-1227 die-cast vehicle measures about 8-inches long, and is based directly on the original visual effects models created for the show, ensuring an extraordinary level of detail and accuracy. As always the models will be accompanied by a magazine that profiles the ship and explores the inside story of how it was made. Ages 14 and up.